At this year’s Stompology I had the honor of presenting a new solo piece. 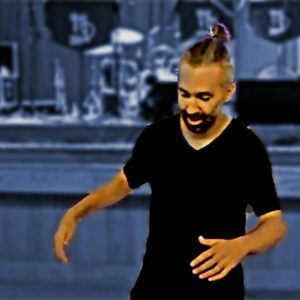 All the Sounds is a piece of thematic improvisation that journeys the audience through a series of rhythms and traditional steps (including a quote from Gregory Hines), that have been foundational in my journey as a tap dancer. The piece begins with an invitation to the audience to close their eyes. Then the dancing is heard. West African rhythms, swing, and funk, all intertwine as traditional tap dance steps from the Shim Sham, Gregory Hines, Jimmy Slyde, and Savion Glover are reference and explored.